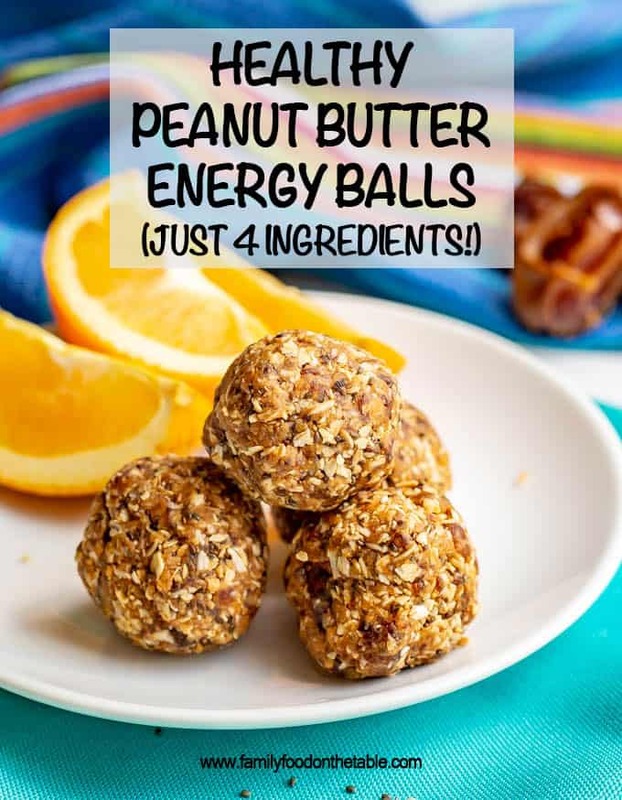 Healthy peanut butter energy balls are just 4 wholesome ingredients and so easy to make! 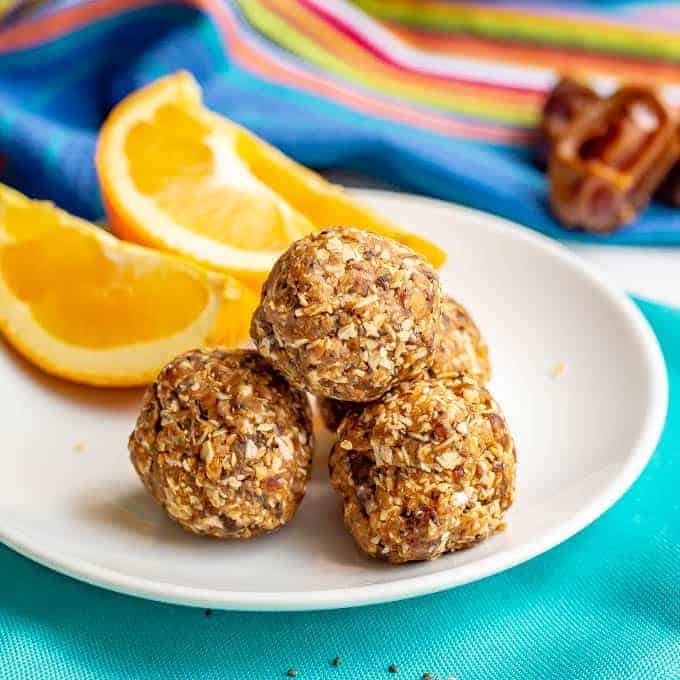 They’re great for a post-workout snack, afternoon snack or on-the-go energy boost! I sure hope so! And I hope I can keep bringing you yummy recipes to meet those goals and keep you satisfied and happy. 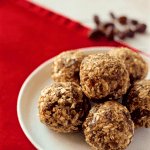 Today I’m bringing you a healthy snack for the new year: peanut butter energy balls! 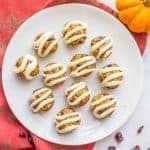 These gorgeous little bites are no-bake, naturally sweetened and just 4 ingredients! Plus, they’re super easy to make – just add everything to the food processor, roll up the mixture and you are good to go! That’s true of most energy balls and that’s why I love them so much. 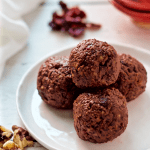 My pumpkin protein energy balls are a fall favorite, my pumpkin cranberry energy balls help transition me to the holidays and then it’s all about my cranberry chocolate walnut energy balls in December. And now it’s the New Year and I want even easier, even healthier and still every bit as tasty when it comes to snacks. I love these no bake peanut butter balls for a post-workout snack, an after-school snack with the kids or for packing as a lunch treat – for them or us! 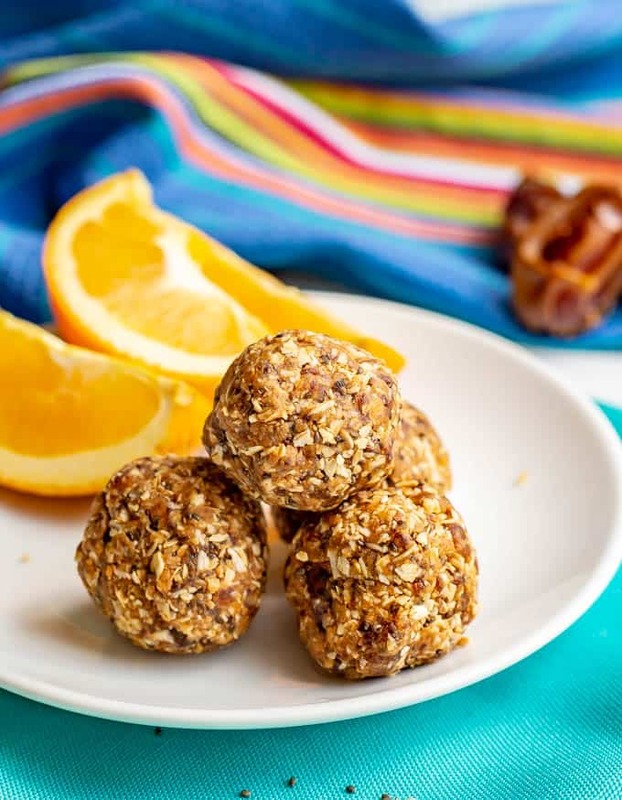 They’re super portable too, so they make a great healthy on-the-go snack option! The mixture will be crumbly in the food processor but it sticks to itself and rolls into balls. If you want them more firm, just refrigerate them after you’ve rolled them and they’ll set up even more. I use a natural peanut butter with salt but no added sugar. 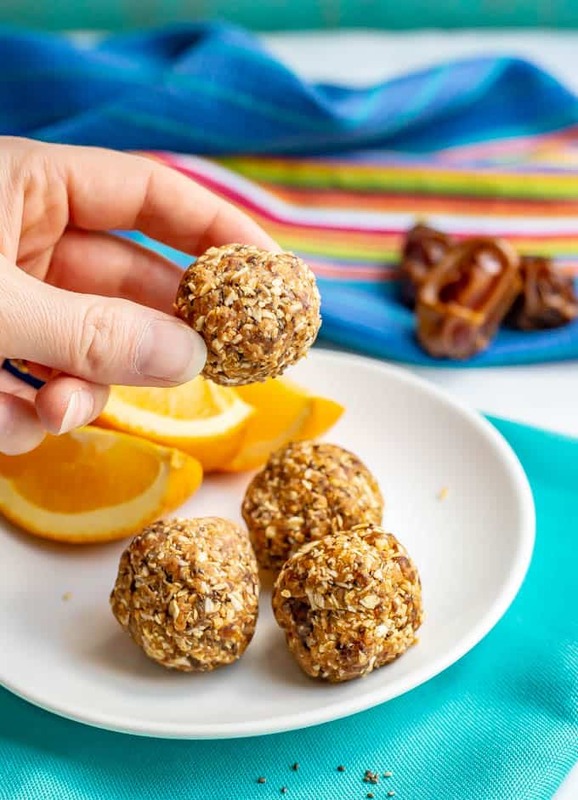 If yours is unsalted, you may want to add a pinch of salt when making these energy balls. You could substitute almond butter for the peanut butter if you want them to be peanut-free. 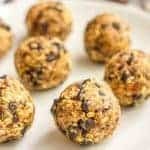 You could also add 2-3 tablespoons of mini chocolate chips if you wanted chocolate peanut butter energy balls. I get 9 large (golf ball-sized) balls from this recipe, but you could roll smaller balls if you prefer. These store great in the fridge for up to a week. If you aren’t familiar with Medjool dates, they are one of the most popular varieties and are known for their large size, soft texture and rich flavor. They’re sweet and chewy with a bit of a caramel flavor. They’re originally from Morocco but are grown several other places now as well, including in the U.S. They actually are a fresh fruit, not a dried fruit. They are harvested and packaged for stores, with nothing added. Dates are high in natural sugars, but they’re also high in fiber so they don’t spike your blood sugar like some high-sugar or high-carb foods. Medjool dates can be found in the produce section of the grocery store. My store displays them on an end-cap near the apples and bananas, in a big box where you can pick out how many you want. You can also buy a pre-portioned carton of dates in some stores, such as Trader Joe’s. Or order some online. Dates have a small pit in the middle that needs to be removed before eating them or using them in a recipe. Simply use a sharp knife and cut down the side of the date to open it up. Then you can easily pull the pit right out of the middle. Dates are really great for snacking. I love smearing the inside with a dab of peanut butter – so yummy! 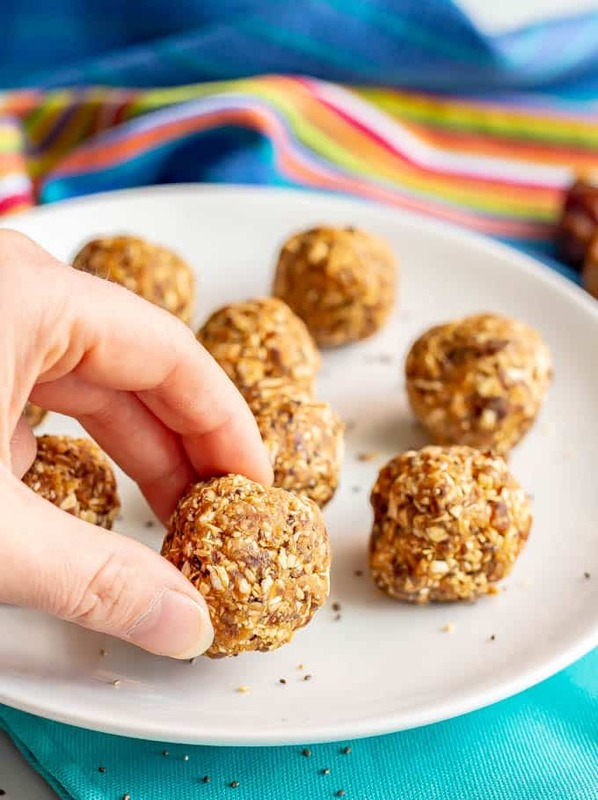 And they’re also so great for using as a natural sweetener in no-bake treats, like this peanut butter energy balls recipe! 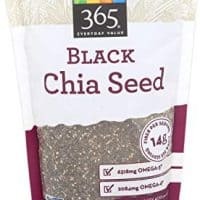 I hope you give these a try for a healthy, all natural, delicious energy bite for the new year. 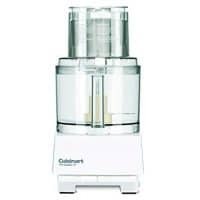 Add chopped dates to the bowl of a food processor. Pulse until broken down into smaller chunks. Add remaining ingredients and process until well combined. Add a tablespoon of water, if needed, to help the mixture break down and come together. The mixture will be crumbly but should stick to itself when pressed between two fingers. Enjoy immediately or refrigerate for 15-30 minutes to chill the balls and help them set up even more. 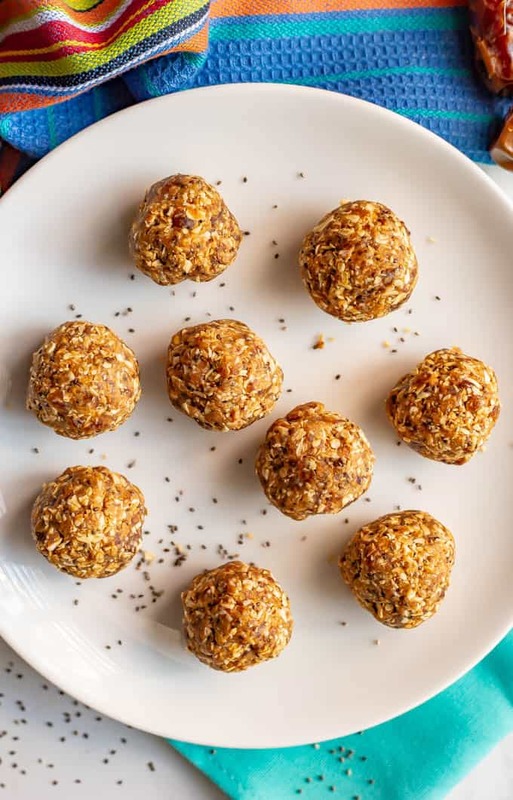 I love energy bites–especially when they only require a few ingredients! 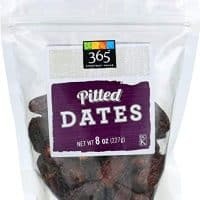 Do you think I could use raisins instead of dates? Hi! I haven’t tried this recipe with raisins, so I’m not sure. I don’t think raisins are as juicy as dates (since raisins are dried and dates are not) and I’m not sure they’re as sweet, so you may need to add some extra honey and water to get the consistency right. Would love to hear if you try it! I don’t eat much sugar because I get all kind of gum problems, so your protein balls are perfect. Can’t believe they are dairy and gluten-free as well! Awesome, I hope you love these Helene! Such a great snack idea for my kids! I am sure they’ll love these! 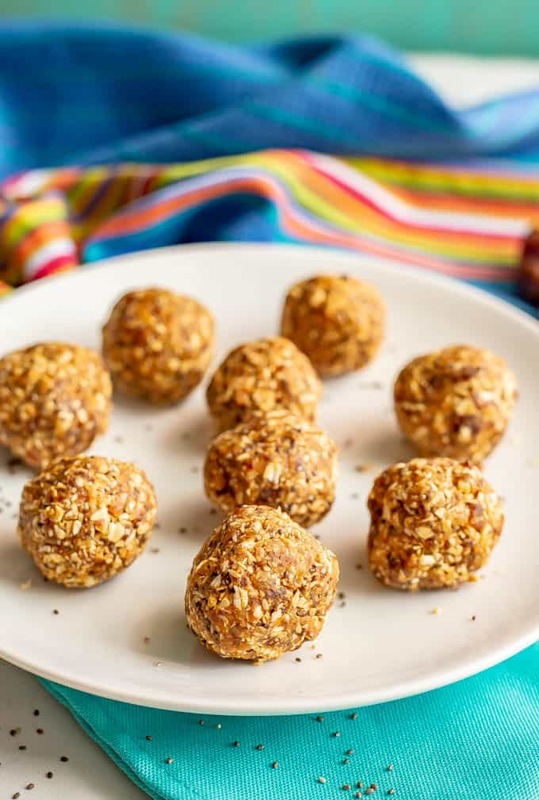 These peanut butter energy balls are the perfect sweet treat! I love that they’re gluten-free and that you used dates in place of sugar. So yummy!! Always looking for easy and nutritious recipes! This one has my one of my favorite things – peanut butter! Yum! 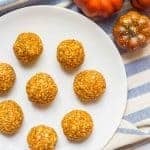 I think you’ll love these little energy bites Erin! Made these for my girls this weekend (1 yo and 3 yo) and the littlest lines them. 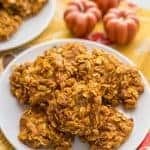 I used steel cut oats for a little chewy-nutty crunch, and the littlest and I loved them. I think 3 didn’t like the steel cut variety, but she loves the chocolate chip no bake cookie balls. Thanks so much! Awww, yay! I’m so happy you and your little girls love these – and the chocolate chip version too! Love that the steel cut oats worked; I bet that’s a fun texture!